Hannah Livingston spends six months tracking two of America's most radical Christian hate groups - a pastor from Arizona and a network of preachers with an extremist message. Director Hannah Livingston spends six months tracking two of America's most radical Christian hate groups - a notorious pastor from Arizona who has been banned from the UK and a network of preachers who take their extremist message directly to the streets. This film shows how America's constitutional right to free speech allows these groups to spread homophobia and Islamophobia in an increasingly polarised and divided political climate. 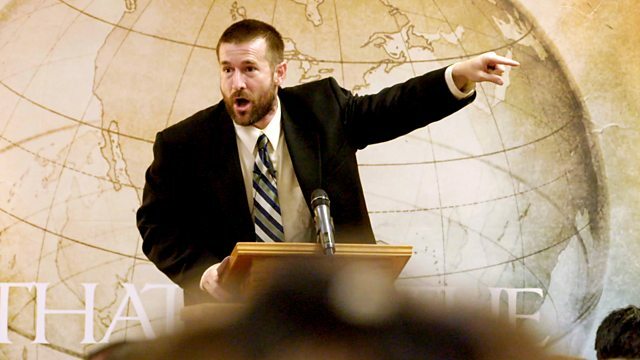 Drawing on a literal interpretation of the Bible, the pastor opens new churches in America and influences people around the world by broadcasting his sermons over the internet. Standout documentaries from BBC Three's debut year as an online-first channel.